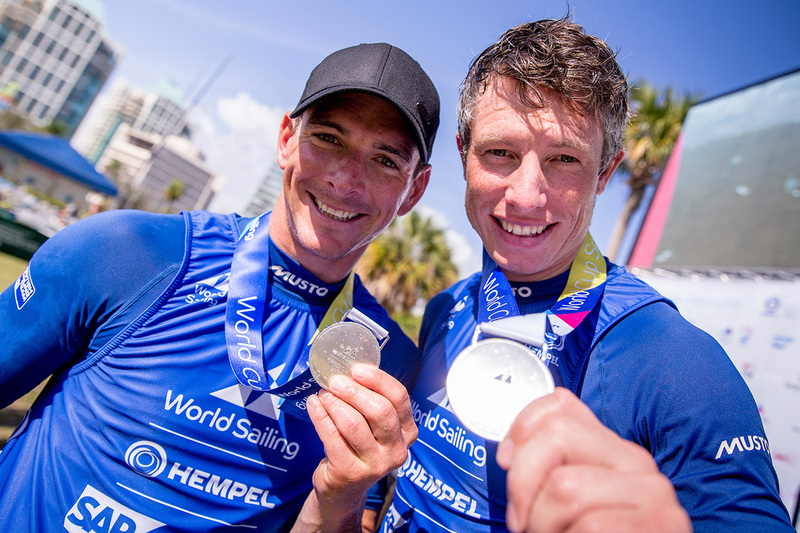 Dylan Fletcher and Stuart Bithell kicked off their 2019 season with 49er class silver at World Cup Series Miami on Saturday – while team mates Charlotte Dobson and Saskia Tidey claimed bronze in the 49er FX. For Peters and Sterritt that meant an end to their medal hopes, and a fifth place finish overall. For Fletcher and Bithell, with just six boats now racing, it all but guaranteed them the silver medal. The fickle, light winds of Biscayne Bay starting crucial, and while Dobson and Tidey got a clear lane, Weguelin and Ainsworth got held up among the pack of boats clamouring for their own breeze. Dobson said: “We had nothing to lose and everything to gain going into today’s race, so the strategy was to try to win the start and assess the points situation at the top mark. We were second round the first mark with everything going to plan but the race got quite affected by some massive wake from pleasure boaters and stray yachts which cut the fleet up quite badly. 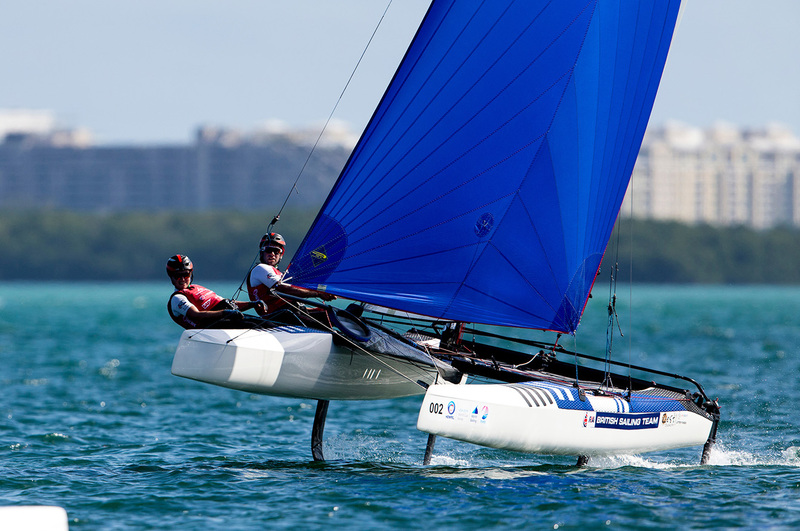 Britain’s John Gimson and Anna Burnet came within a whisker of scooping a medal in the Nacra 17 class, but had to settle for fourth overall behind Australia’s Jason Waterhouse and Lisa Darmanin, Samuel Albrecht and Gabriela Nicolino de Sa from Brazil and Santi Lange and Cecilia Carranza Saroli from Argentina. In the women’s RS:X neither Emma Wilson nor Bryony Shaw could win a medal but both were out to prove a point. 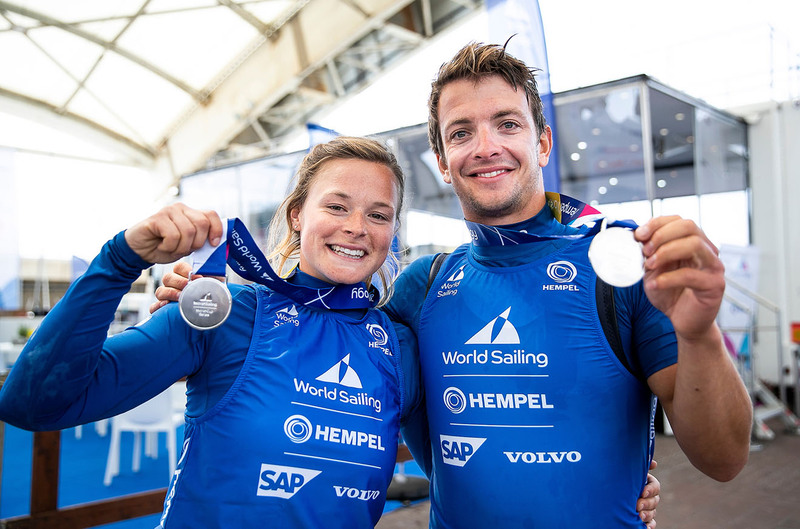 Wilson came home with a fourth in the medal race to finish ninth overall, one place ahead of Shaw who was ruled over the line at the start of the medal race. 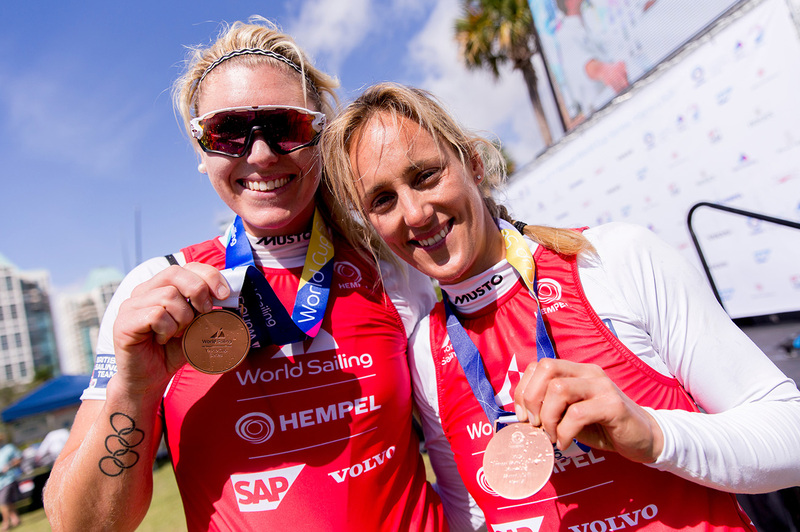 Elsewhere Hannah Mills and Eilidh McIntyre will start Sunday’s women’s 470 medal race in the runner-up spot just three points off first, while in the Laser Radial Ali Young will start the medal race in fourth. 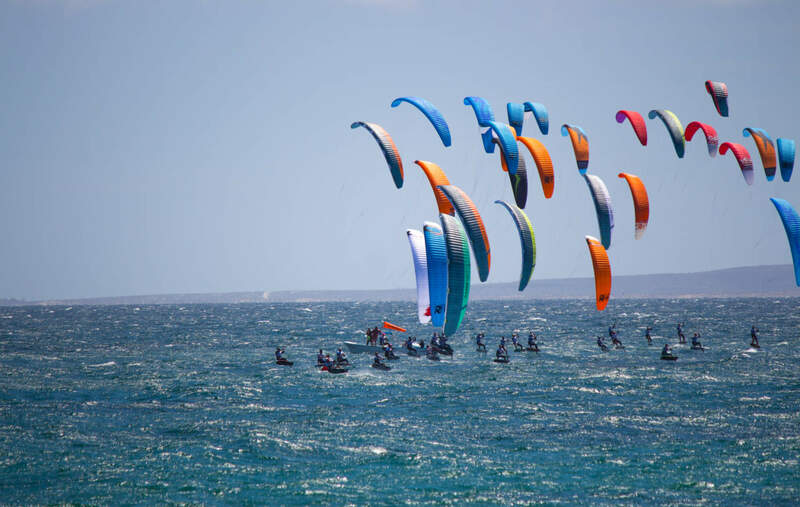 Lorenzo Chiavarini will start the Laser medal race in eighth overall but out of reach of the medals. 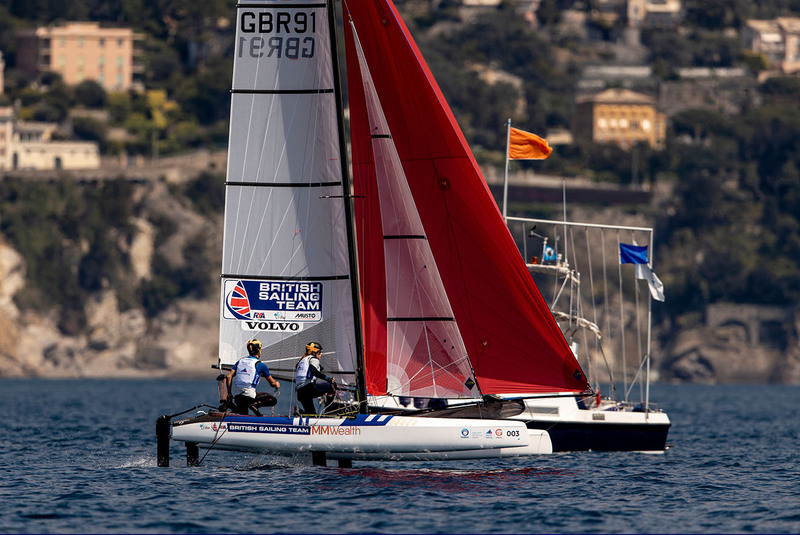 Watch all of Sunday’s action LIVE on the British Sailing Team website from 5pm UK time. Previous PostWatch Sunday's WCS Miami medal races - LIVE! Next PostWatch Saturday's WCS Miami medal races - LIVE!